Sen. Mark Warner (D-Va.) criticized the Trump administration's move to ease sanctions on Chinese telecom firm ZTE in an effort to jumpstart trade negotiations. 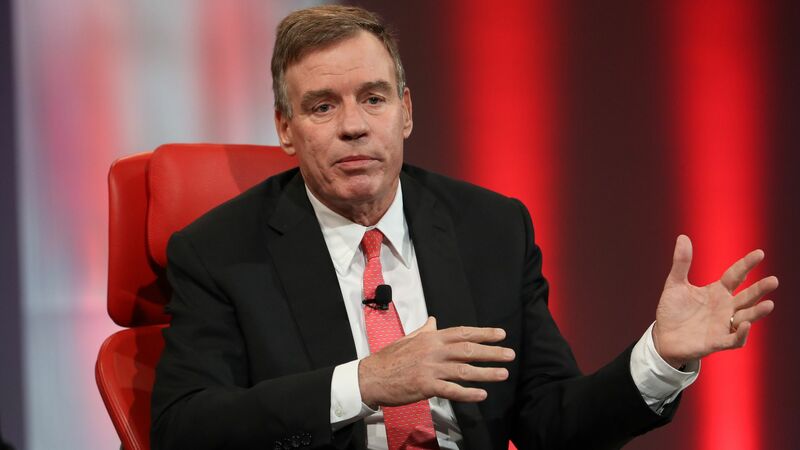 Warner, speaking at the Code Conference, said that intelligence officials from both the Trump and Obama administrations agree that ZTE and Huawei, another major Chinese manufacturer, pose a security threat to the U.S.
"I think we ought to listen to [those officials] and not simply use them as a trading chip," Warner said. "It is a national security concern and should be treated as such." Warner also urged tech companies, especially startups, to be cautious about investments from China and Russia. "If a deal is too good to be true, there may be a reason for it," he said. Warner also argued that antitrust enforcement action against big technology companies should be done carefully, because "heavy-handed" rules could harm American firms in their competition with Chinese rivals.